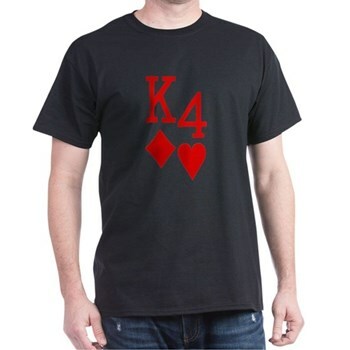 Be King for A Day Poker Shirts. This is a custom design made free for Mr. Time! All he did was use the suggestion box on our site and asked us to make a custom poker shirt for him and it was done within 6 hours. There are cases where we will create your custom poker shirts even faster, but as always the shirts are made at no additional charge and they are backed by a 100% guarantee. Enjoy browsing our site and check out you poker shirt by clicking on the image on this page. Thank you for your suggestion. PokerESQ Over 10,000 Poker Shirts for Men and Women!